PLEASE READ (*starred) DETAILS BELOW & BE SURE TO PROVIDE THE NECESSARY INFORMATION TO COMPLETE YOUR ORDER. 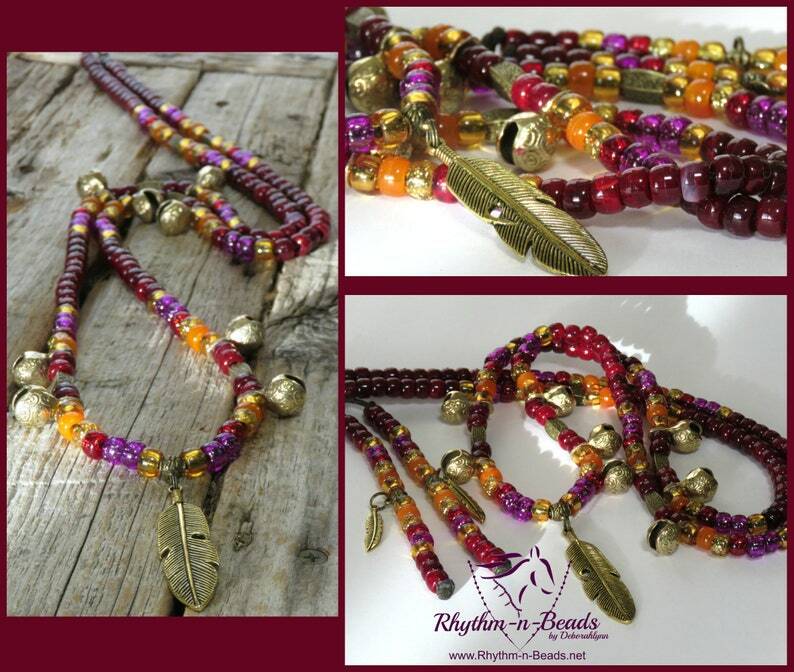 *This listing is for our CLASSIC style INDIAN CALICO CORN rhythm bead necklace with large feather pendant, feather charms + 8 bells. *INCLUDE A PHONE NUMBER WITH YOUR ORDER, SHOULD I HAVE ANY QUESTIONS. 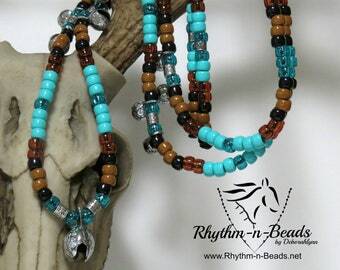 *You also have the option of adding a 12" double strand pair of coordinating beaded mane dangles and/or tail swag with bell, or you can make it a 4pc set. 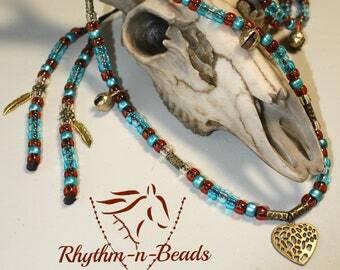 Offering 100+ designs...MORE REGULARLY ADDED!!! Do not copy, borrow, use, lift, display, or post our designs as your own work.